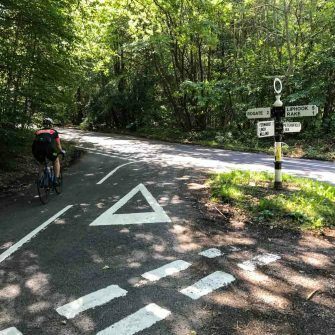 On 23rd September 2018, 15,000 cyclists will hit 100 miles of closed roads in West Sussex as part of the first-ever Vélo South. As we're taking part and live nearby, we decided to recce the Vélo South route. Here we answer five of your questions about the course. We hope it’s a useful starting point for your preparations - best of luck for the big day and see you on the road! 1. 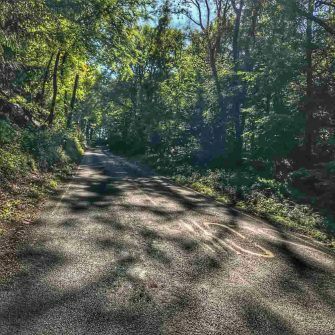 What’s the Vélo South route 2018 like? 2. Is there a Vélo South route GPX file? 3. What set-up do I need on my bike? 4. Any general tips for things to watch out for? 5. Can you give me more detail on the Vélo South route profile? 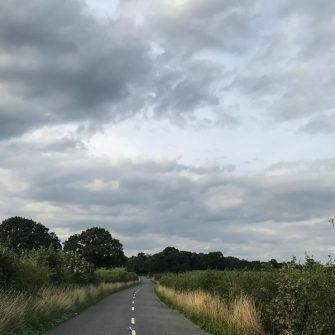 The 100 mile Vélo South route undulates its way over closed roads through West Sussex and the South Downs National Park. It takes in lush, quiet countryside, picture-postcard villages and around 1,500m of climbing. What makes it a real challenge is that over the whole of this significant distance, there’s barely any flat terrain. It’s almost all either up or down. 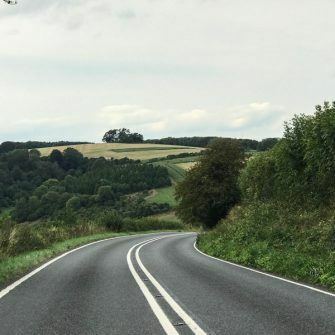 Even the flatter sections are only flatter relatively speaking; they’re actually full of short, sharp energy-sapping hillocks that barely feature on the profile map. It’s this rollercoaster route profile that we think will be the hallmark of this new and exciting event. Looking for more detail? Check out our more notes on the Vélo South profile below. Want to download a PDF of this guide to read later? Sign up for our newsletter and, as a free bonus, we'll email you a PDF copy of this guide! the level crossing and two vehicle crossings points. Note that the event is on closed roads, so this GPX route goes contrary to one way systems and through Goodwood motor circuit. Don't follow the GPX route - follow the rules of the road! This will be a personal choice. However, since the course is hilly rather than mountainous, your usual set up for UK roads may be fine. 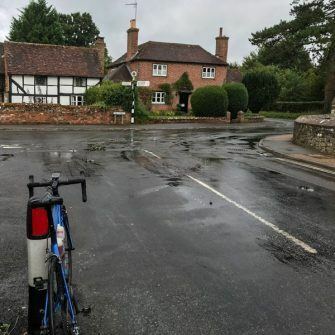 We would suggest that you consider robust, 28mm tyres given the road surfaces. We’ll be using our trusty Conti GP4000S tyres. If this kind of ride is new to you, you might also find our list of things for your jersey pocket helpful. Here are some thoughts based on our recce. We may well have missed some things - if you’ve got any other pointers, add them in the comments below! Some of the road surfaces are a bit of a mess. 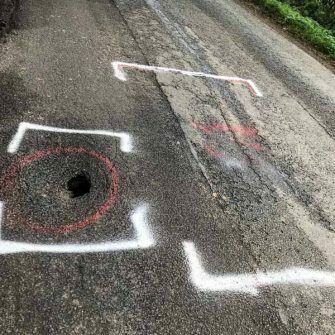 Expect potholes, manhole covers and (especially on the smaller roads and/or if it's rained) gravel and debris. This is a twisty course on narrow roads so it’s sometimes difficult to see which way the road is going to turn. This makes it particularly important that you don’t go full-gas on the descents. Let’s also hope the route is well-signed and marshalled on the day! With 15,000 riders taking part, the roads will be busy. 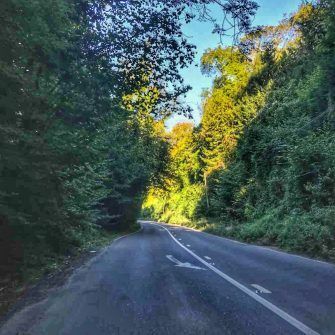 Faster riders will be trying to overtake slower riders, which could be particularly problematic where the roads are narrow and on the hills. Also watch out for inexperienced riders/riders that haven’t checked the course braking and/or swerving unexpectedly. 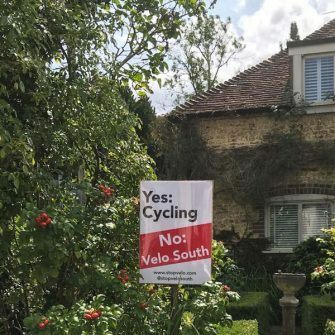 There have been some objections to this event being held (just google “stop Vélo south”). It’s hoped that these will not come to anything. 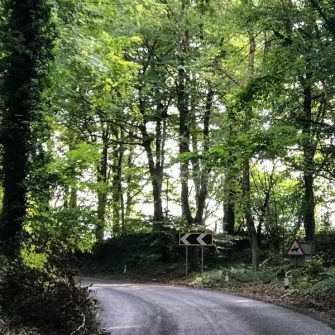 The hills on this course are generally short and sharp in nature and are mostly on narrow, wooded roads, so expect tricky light and poor visibility - a particular issue when descending around corners. 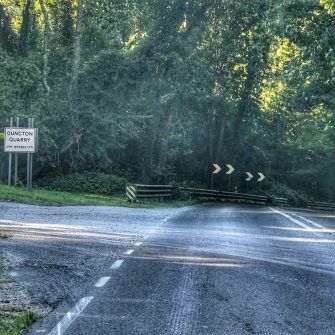 If you’re riding the course before the event, note that the route is designed for closed roads so goes the wrong way down one way systems, through Goodwood motor circuit etc. Take care and follow the rules of the road, not the GPX file. Read and take in all the information in the Rider Info Guide. It includes things like what's available at the pit stops, how/where to get first aid and mechanical support, rules of the road, road/level crossing points and other important info. It's there to help keep you safe and having a great day. And finally - read on for some specific points on the course to watch out for! Sure! We recommend you do your own recce and research - but here are some notes we made. unless otherwise stated, our metrics are based on ridewithgps data and are approximate. We’ve broken the route up into four sections and have given an overview of each. We hope this forms a useful starting point for you! Before we start, here’s the route profile map again. The neutralised start leaves Goodwood Motor Circuit through the Goodwood Estate (we couldn't recce that bit!) before hitting the wide A285. 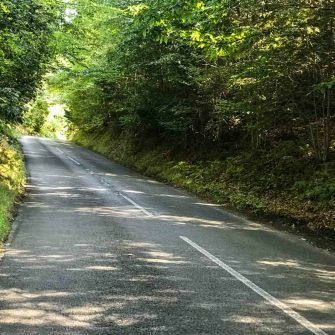 "Give me Goodwood on a summer's day and you can forget the rest of the world"
At about 2.5 miles, there’s an early easy climb from Halnaker village for around one mile, average gradient around 1.5%. There's then a short descent followed by a longer 1.5-2 mile climb up to the turn off to Goodwood Open Air Museum. It’s not too steep, averaging around 4% and with a maximum gradient around 6%. 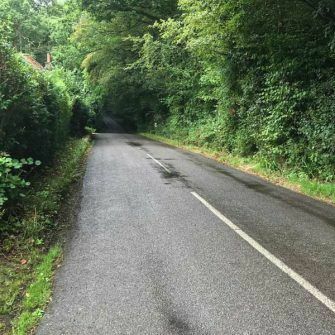 It's a fast gently twisting descent from there before you hit Duncton hill for a couple of miles: again not overly steep, with gradients averaging 2% (though the final kick to the top is more like 4%). 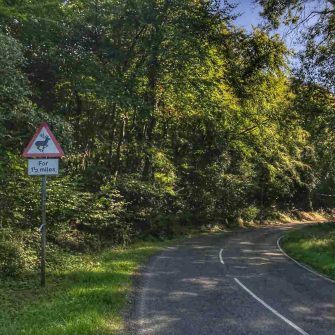 Very important: beware the descent of Duncton hill. It comes at mile 9; you come over the top, there's a big sign post with an 11% descent marked on it. 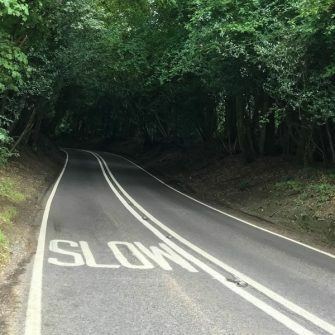 You round a corner and it’s then a very fast, straight, wooded downhill. At the bottom of the straight section is a sharp bend to the left. Straight after it is another bend. There’s then a small rise before some more twists and turns as you come into Duncton. Around Fittleworth and Pulborough, there are several punchy little climbs that are short and sharp. After here, you leave the South Downs National Park, heading for the relatively flatter West Sussex countryside. 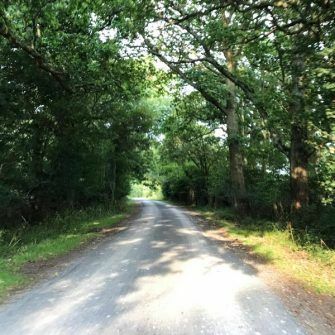 These 40 miles are characterised by country lanes and roads that pass through fields and woodland. 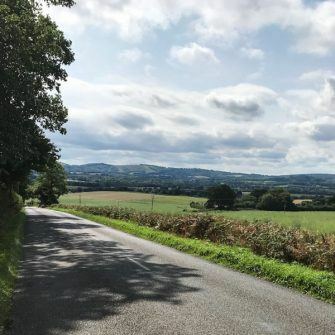 The terrain is generally flatter than the rest of the course, though you’ll find short sharp climbs scattered throughout and some lumps around the 37-52 miles markers (Copsale and Southwater area). 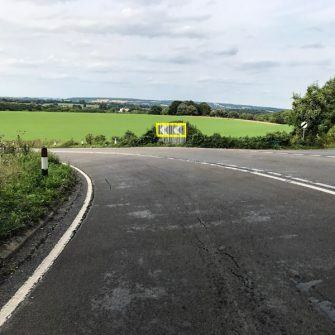 Lumps and bumps in this "flatter" 40 mile section! Beware the level crossing in Adversane as you leave Toilet and Water Stop 1: you will obviously need to stop if a train is coming and the metal train tracks can be skiddy. 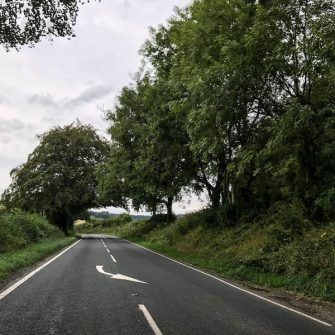 After Ashington, you turn onto a narrow country lane: Spithandle Lane (mile 28). Take care on the downhill sections as there are some bends which can be gravelly. Care is also needed on the left-hand turn at the bottom of Weston’s Hill after Barnes Green, around mile 48. 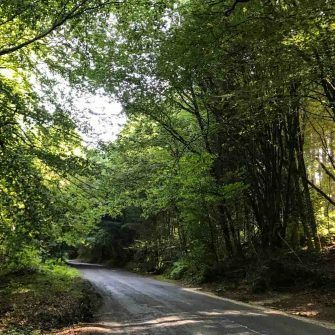 These 15 miles see you head back into the rollercoaster of the South Downs National Park. Caught in a rain shower in Plaistow! Look out for that right-hand turn. 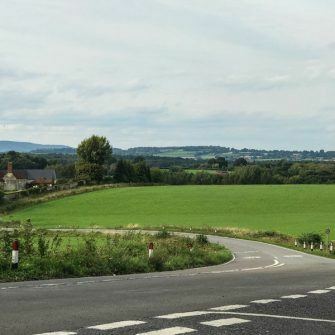 The roads undulate along rural, hedge-lined roads, through small pretty villages and open fields. Prepare yourself for some larger lumps from mile 62 onwards. Take care on the right-hand turning in front of The Lickfold Inn at around mile 71. You come to the 90 degree right-hand turn at the bottom of a downhill section. The last 25 miles includes three main hills. 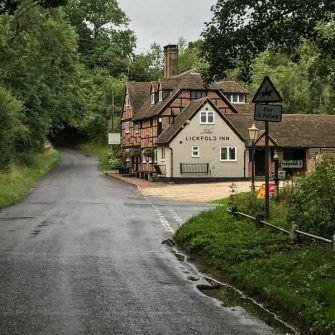 You start climbing soon after you pass the Rising Sun pub, but it really kicks up from the four way crossing - this last 0.4 miles averages 6.5% with a maximum gradient of 9.5%. Just after the four way crossing, you spot Rogate bike park on your righthand side. You turn a corner after the bike park and it's a straight climb to the top. There’s a long descent down the other side with far-reaching views over South Downs National Park. Watch out for the lefthand bend at the bottom of the straight descent. 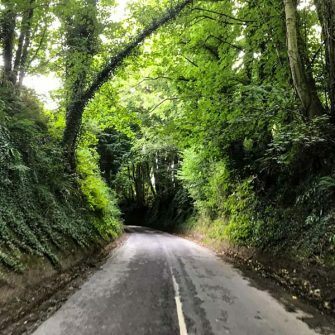 The climb, that’s around 0.3 of a mile long, is on a narrow, high-sided road, averaging 4-5% and maxing out at around 7%. Watch for the deep potholes on the lefthand side of the road. From the summit you descend down into South Harting. On our recce, there were quite a few cars parked on the road as you come into the village, which made it quite narrow: presumably those won't be there on the day. 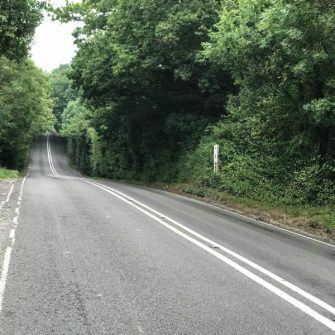 This is the biggest hill of the day and is likely to hurt given you're 85 miles in! 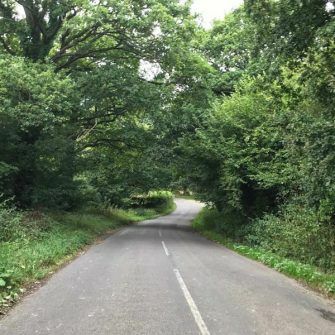 The climb is after the village of South Harting and is about 0.6 of a mile on another wooded road. Official stats give it an average gradient of 6.7%, up to 18.3% at its steepest. 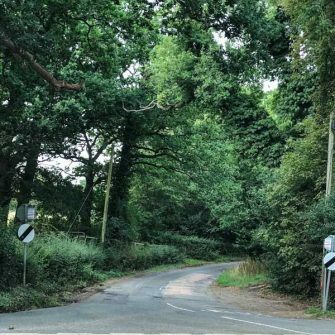 If you're looking for landmarks, there's a turning on the left just before a righthand bend at the bottom of the hill. 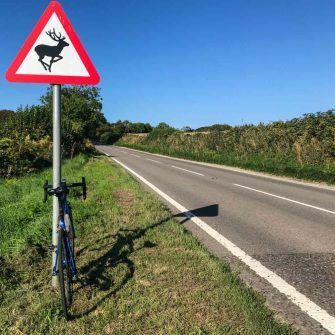 You see a signpost warning for deer, then it's a straight climb up before a lefthand bend. After that lefthand bend you see the back of a sign post and that's the summit. There’s then an enjoyable descent back down, past the National Trust’s Uppark House. About 1.5 miles into the descent, there's a short, sharp kick up on a righthand bend. The road then continues down and as you come into the pretty village of Compton, there are some corners: attention is needed on these as we spotted a bit of gravel. After Harting hill, the final 15 miles are mainly downhill and flat. We encountered a bit of headwind and the odd short hill, but otherwise it's a relatively easy end to the ride. 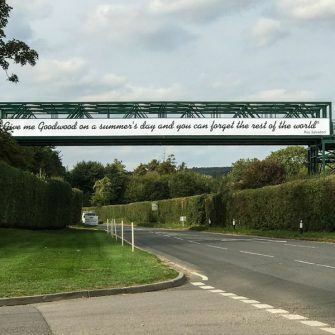 The finish is back at Goodwood, where riders complete a lap of the iconic race track before the finish line (we obviously didn't do that in our recce!). Have you ridden the course? What did you think? Have we missed anything that you think people should know about? Comment below or drop us a line! Have a great ride and take care. Looking for some more riding in the area? 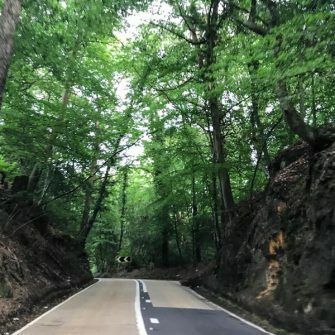 Check out our guide to cycling the Surrey Hills. 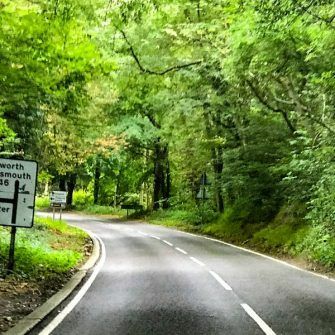 It includes some fantastic rides in Surrey as well as ones that venture out to West Sussex and East Sussex. Want to plan a cycling holiday? Check out our free, in-depth guides to famous cycling destinations like Mallorca, Tenerife and Girona - or somewhere less known like Nice, Calpe or even California! Know which month you want to go? Use our destination search to help you decide! 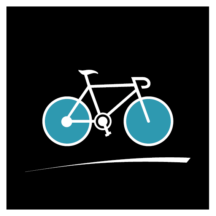 Super useful info and an attractive, easy to use website … where have you been all my (cycling) life! What kind words – thank you! Best of luck for the Velo South! It is interesting that all but two or three photos show areas/villages with houses and parked cars which is avoiding the unpleasant truth about the residential disruption on the day or just where the “spectators” stand on roads without pavements or paths, if indeed the “spectators” manage to avoid the checkpoints and G4S guards that will “police” / patrol the area clear of movements. Your concerns are understandable – only time will tell. 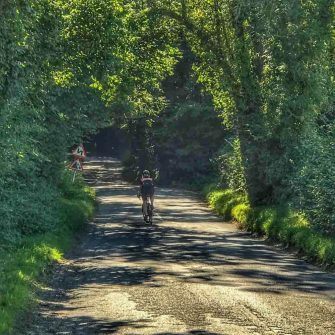 On the photos front, many of them are in there to try and highlight areas of the course that are tricky for one reason or another… it is a largely rural course but in SE England, it’s inevitable that even the countryside has a lot of houses and people. We just need to try and enjoy the event and stay safe. Good luck with the ride!